Chris is leading the development of a theory for the primordial excitation of spin-orbit misalignments in close-in planetary systems. To date, Chris’s work has shown that the entire possible range of misalignments is attainable within the context of the purely gravitational disk-torquing mechanism, and that magnetic disk-star interactions may facilitate the observed correlation between stellar mass and spin-orbit misalignment. Chris has also investigated the connection between physics of disk-star coupling during the embedded phase of star formation and primordial coincidence between stellar and nebular angular momentum vectors. Currently, Chris is studying the long-term fate of exo-moons and the origins of the Kepler dichotomy. As a graduate student, Elizabeth has done research on the deep interior structure of the solar system’s ice giant planets (Uranus in particular). She is now working on the Planet Nine hypothesis, and has recently published a paper, which shows that the ~6 degree obliquity of the Sun could have been induced by the gravitational influence of Planet Nine. 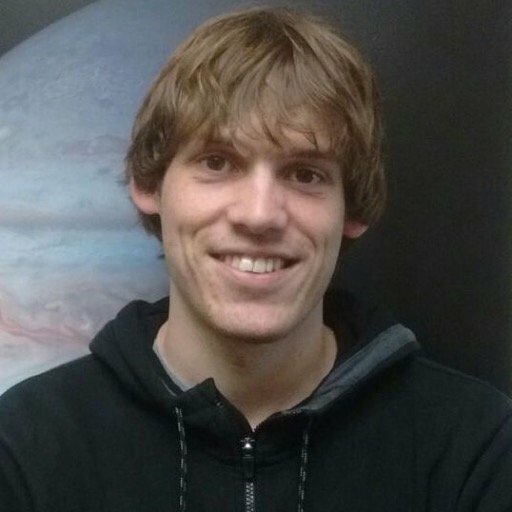 Steve is a first-year graduate student, working on deriving limits on the rates of radial migration of planets in protoplanetary disks. Unlike the conventional approach of modeling this process directly, Steve is looking at indirect consequences of radial migration, to obtain observationally gounded estimates of this elusive process. Taking advantage of the inherently parallel-computational nature of graphic processing units, Siteng carried out a large suite of self-consistent N-body simulations of the solar system's early dynamical evolution. Our simulations showed that the qualitative picture entailed by the Nice model is insensitive to collective effects of the planetesimal disk and that the coherent structure the distant Kuiper belt is unlikely to have a self-gravitational origin. Natalia is a Sherman Fairchild Postdoctoral Scholar in Theoretical Astrophysics at Caltech’s Burke Institute for Theoretical Physics. Natalia’s work focuses on the long-term evolution of extrasolar planetary systems as well as the chaotic dynamics of stellar rotation (see also here). Together, we worked on the characterizing a new mode of disk-driven planetary migration, as well as modeling the final stages of planet formation in the solar system. As an undergraduate research fellow, Abhi was studying the long-term implications of rapid chaotic evolution of planetary systems, using the emblematic Gliese 876 planetary system as a case study. His analysis involved a combination of large-scale numerical N-body simulations and perturbative treatment of stochastic differential equations. Abhi now works as a data scientist in Silicon Valley. While at Caltech, Bhawna studied the physics of planetary migration that occurs during the nebular stage of a planetary system’s lifetime. She employed large-scale magnetohydrodynamical simulations to model the early stages of the solar system’s evolution, with an eye towards constraining the amplitude of turbulent fluctuations within the solar system’s natal disk. Kat is an expert in the field of orbital dynamics and a postdoctoral fellow at the Joint Center for Planetary Astronomy at Caltech. She has worked on extracting subtle signatures of planet-planet interactions from transit timing variations data, and has instigated a description of how planetary systems evolve from their natal configurations to the architectures we observe today. Kat is now pursuing a new passion for data science outside of academia. Gongjie has revisited the now classic problem of chaotic spin-axis evolution of a putative Moon-less Earth. In doing so, she formulated a purely analytical framework that allowed for an estimation of the characteristic timescale for dynamically-forced climate change and gave an intuitive interpretation of numerical results. Gongjie has extended her results with an aim of quantifying pre-late-heavy-bombardment evolution of the Earth’s obliquity. 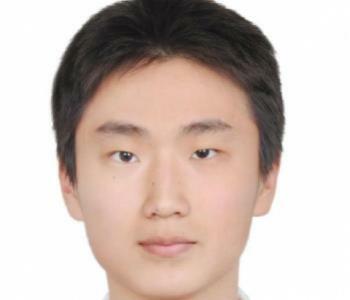 Gongjie is now an assistant professor of physics at Georgia Tech. Juliette and I worked on understanding the coupling between the planetary interior structure and the orbital state that arises for giant planets that reside in extreme proximity to their host stars. Using the HAT-P-13 system as an illustrative example, Juliette showed that in multi-planet systems that harbor a hot Jupiter, precise characterization of the system's orbital state can yield meaningful constraints on the transiting planet's interior structure, and such a calculation is applicable to an extensive range of orbital architectures. Juliette is now pursuing a Ph.D. in Astronomy at University of Michigan. Along with Mike Brown and myself, Hayden worked on quantifying the possibility of the existence of an additional ice giant planet in the primordial Solar System. Our study included a large-scale numerical exploration of instability-driven dynamical evolution and showed that indeed, the Solar System may have harbored an additional massive object early on. Our findings were published here. Upon graduating from high school, Hayden enrolled into Harvard University as an undergraduate.